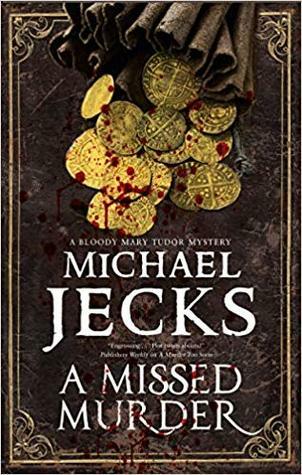 A MISSED MURDER BY MICHAEL JECKS – Books, Books and More Books! Queen Mary has married Phillip II of Spain and is soon to give birth to their child. The alliances run deep on both sides of Mary and her half-sister, Elizabeth. Trust isn’t even in the vocabulary in this century. Jack is no longer a thief but a paid killer, trading his life on the streets for a more comfortable and hopefully less dangerous home. But his patron has ordered him to kill someone. No need to know the details, but the job goes horribly off track and it looks like Jack himself may have killed the wrong man. Pulled into a mess of who did what and why, Jack would like nothing better than cut his losses and run. But no. He’s sucked into the intrigue and may not be around much longer himself. Michael Jecks writing puts you smack dab in the middle of the Tudors and their spies and lovers and would be killers. Jack has a lot of flaws and yet we are still cheering for him. Personally I feel fully immersed in the 1500’s and that is not an easy thing to do.